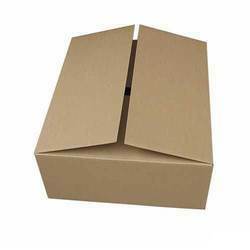 Pioneers in the industry, we offer corrugated boxes, edge protectors and corrugated boxes for textile industry from India. Our company holds expertise in offering a wide range of supreme quality Edge Protectors to our valuable customers. These protectors are designed in adherence to the industry laid standards by using advanced machinery. To ensure a defect-free range, these protectors are rigorously checked on various quality assurance parameters by our team of quality controllers. 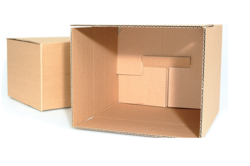 Backed by a team of professionals, we are into manufacturing and supplying of Corrugated Boxes for Textile Industry. The offered product is manufactured under the guidance of our quality controllers. 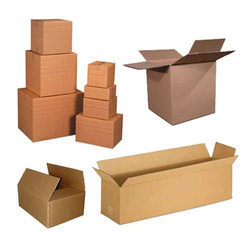 These boxes are used for packing various kind of products. These products are our customers' first choice and highly popular for their reasonable price and fine quality.